Do you have an obsession with avocado like the rest of the world? 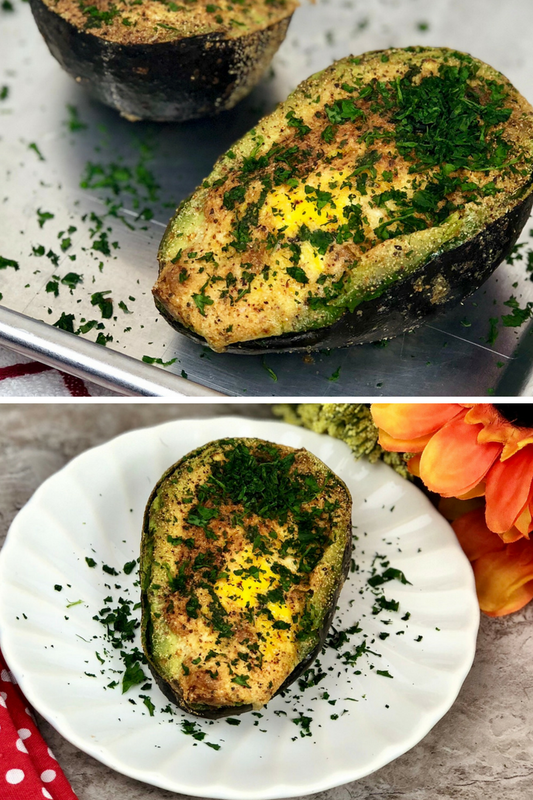 If so check out my latest recipe, the Air Fryer Baked Avocado Egg. It is what dreams are made of. 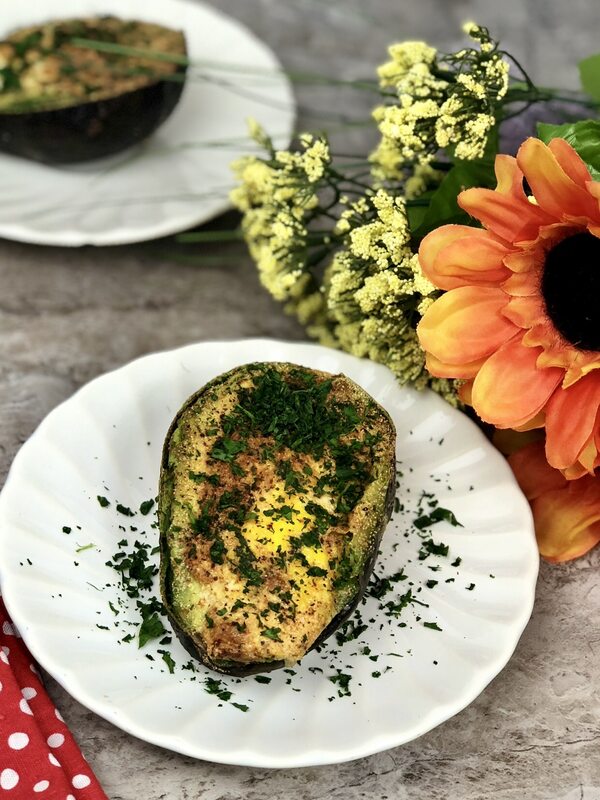 A deliciously stuffed avocado filled with an egg and seasonings that make a perfect healthy breakfast, snack or even meal option. Serve with a side of fresh fruit or even turkey bacon and you have yourself one satisfying meal. 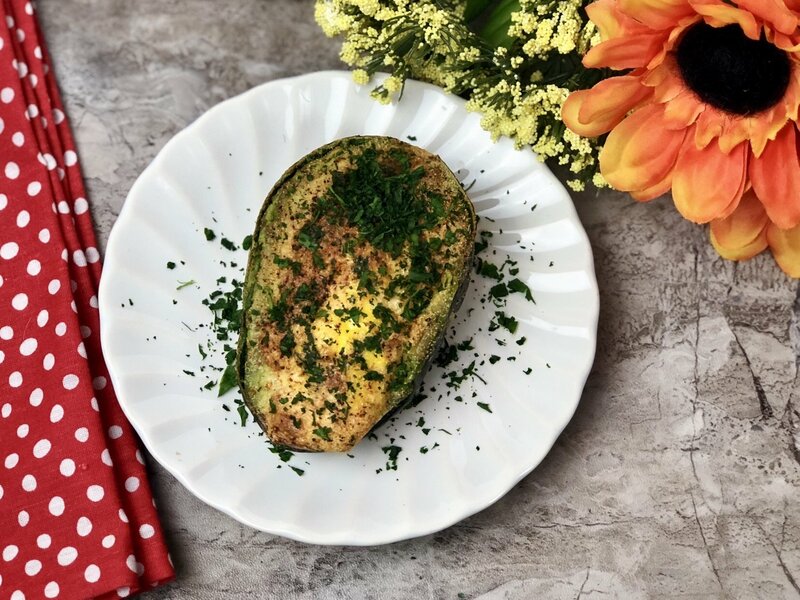 And bonus, this avocado egg is low carb and keto! I am trying to make better choices and lose some weight, and this has become a go-to breakfast for me. It is satisfying and keeps me full throughout the morning and helps give me the energy to keep going. By lunchtime rolls around I am ready for another meal, but I don’t feel ravenous like I would if I ate an empty carb breakfast like I used to. The Air Fryer cooks the egg and softens the avocado perfectly, and it takes minimal prep. 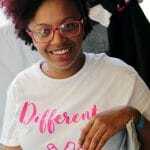 The reason I chose to use the Air Fryer is it is great for allowing me to make quick dishes, snacks, and meals without any hassle. Simply prep your meal, toss it in the Air Fryer, turn it on for the allotted time and go about your business. This stuffed avocado recipe is so versatile as well. Feel free to toss in some crumbled bacon or even turkey bacon, play around with spices, top with cheese, for a whole new flavor combination. First off, did you know that avocado is a fruit, not a vegetable? Avocado is considered the “fruit” of the tree! Avocados are bursting with nutrients that are great to incorporate into your daily diet. From a good guacamole to avocado toast, and now these tasty baked avocado eggs. You can find tons of recipes to use avocado, so you don’t get bored of them. Because avocados have a really thick outer skin it helps protect them even better from pesticides. If you like to buy organic go right ahead, but if you want to save some money don’t worry about organic. Their thick skin really helps protect them better than say strawberries that have tons of little areas pesticides can latch on. Avocados contain vitamin C, E, K, B6, B5, and even some vitamin A. You can also find they are full of potassium, magnesium, folate, and more. As you can see just at a glimpse of this, this little fruit is a star item to incorporate into your dishes as a topping or for the main course. Avocado is a heart-healthy food with monounsaturated fatty acids. As you can see these benefits are really wonderful and there are so many more reasons why you should eat avocado. I think that could be an entire series of posts! 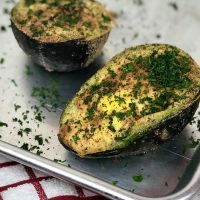 I really hope you like these stuffed avocados, I know my family sure does! Need more low carb options? 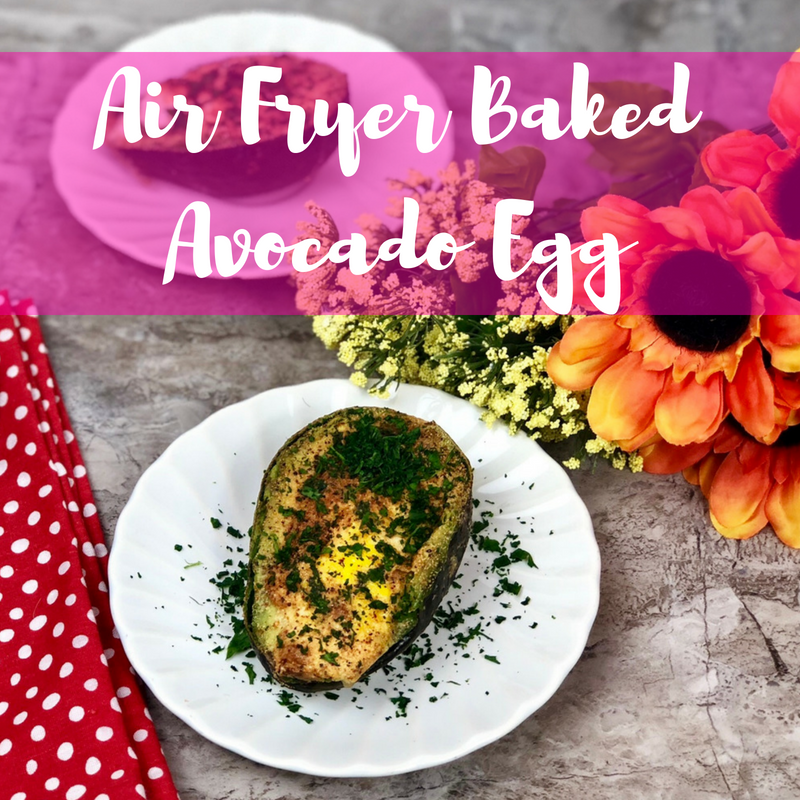 Check out my latest recipe, the Air Fryer Baked Avocado Egg. It is what dreams are made of. 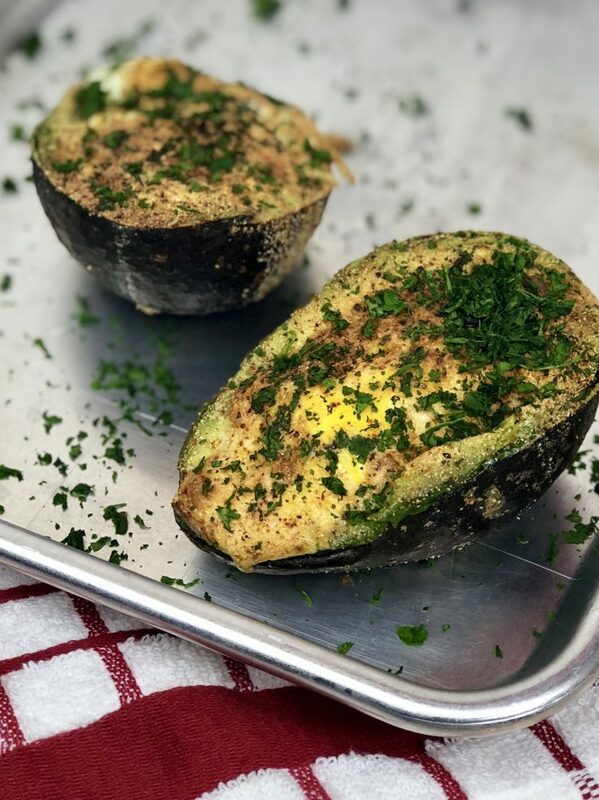 A deliciously stuffed avocado filled with an egg and seasonings that make a perfect healthy breakfast, snack or even meal option. . And bonus, this avocado egg is low carb and keto! Preheat air fryer to 400. Place avocados face up on cutting board. Crack 1 egg into the avocado, make sure to keep the yolk intact. Air-Fry for 12-15 minutes, or until eggs are desired temperature. Air-Fry for 15-18 minutes, or until eggs are desired temperature. Very good! Just made this and it’s easy and delicious. I used half avocado one egg and two pieces of bacon. Spice I used was McCormick Culinary Caribbean Jerk Seasoning and it works perfect with this, also salt and pepper and a little mozzarella cheese on top. Perfect for air fryer. Going to keep this one for my keto diet!